Do you want to visit Italy but look for something more than a simple tourist trip? They told you about Rome, Florence, Venice, grand monuments and great food, but this is not all that the Bel Paese has to offer. There are experiences to try, secrets to discover and enchanted places to admire. There is a means and a way to experience Italy! This is why we have selected our 30 best destinations for a luxury trip to Italy for you. Here you will find both the big cities you’ve already heard about and the magical places that will allow you to experience the thrill of a unique journey. It is perhaps the most famous lake in Italy, also thanks to the presence of certain VIPs, and it is also one of the most beautiful. Located in Lombardia, 50 kilometers from Milan, the lake has enchanted travelers and great artists throughout history, including works such as “I promessi sposi” (The Betrothed). Exploring the lake by boat is a great experience to have at least once in a lifetime; the landscapes, villages, and gardens that can be seen are breathtaking. For the more adventurous, it is even possible to take a plane from one of Italy’s oldest Aero clubs in Como, to fly over the lake and even get to Lugano. 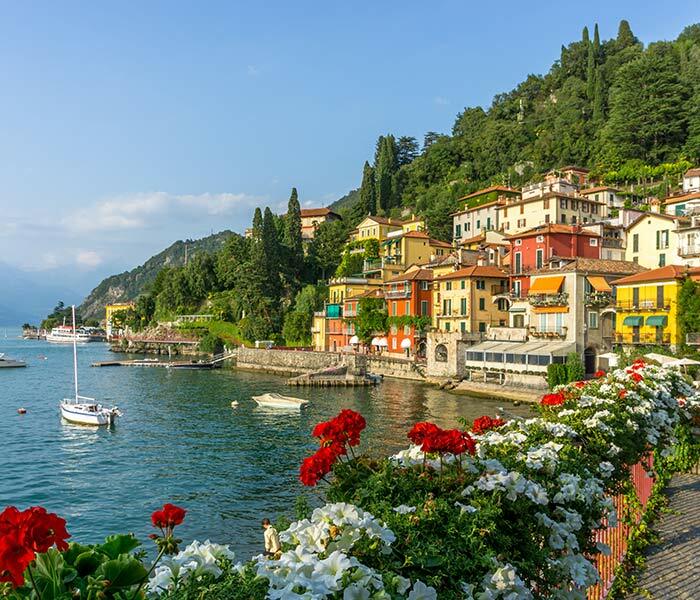 However, there are also many villas and villages hidden around the lake to explore: Cernobbio, Bellagio, Villa Melzi, Isola Comacina, Laglio (where George Clooney loves to stay). Without forgetting the gems located to the north: Gravedona and Piona, with their churches and Roman abbeys. 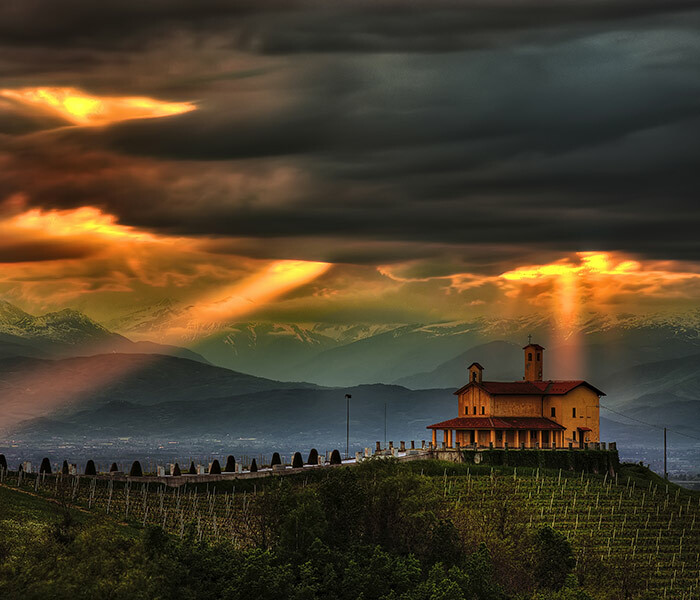 A historical region of Piedmont in northern Italy, The Langhe is famous for its vineyards, castles and the magic that the valleys offer, especially in Autumn. Here there are villages known throughout the world for the quality of wine and local products, from Alba to Barolo one experiences the most intense culinary experiences in life. Those who know how to appreciate wine will find their paradise in the Langhe: the endless rows of vines that are visibly lost are only the prelude to the wine tasting experience that you can book to taste the most famous and prized Italian wines. 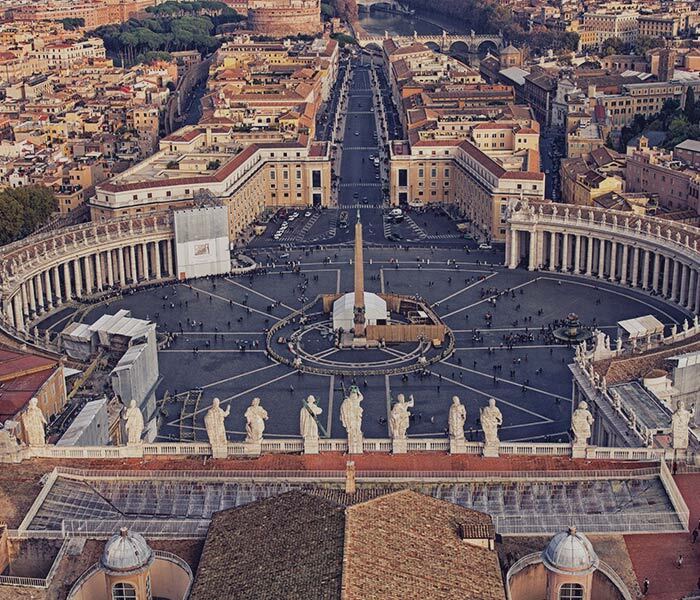 Rome, St. Peter’s Square and the Vatican are famous throughout the world, perhaps too much. Every day, more than 2000 people visit the rooms of the Sistine Chapel and the Vatican Museums are targeted by multitudes of believers from all countries. Few have the opportunity to visit these magnificent places in peace and tranquility, without the haste imposed by rigid rounds for tourists. Those who manage to enjoy the frescoes, the famous Last Judgment and the museum rooms in a more intimately and privately have a completely different experience, capturing the real treasures of the Vatican. It is a tour suitable for those who want to capture the hidden charm of the Eternal City, going beyond the most famous and popular monuments such as the Colosseum, the Pantheon, and Piazza Venezia. 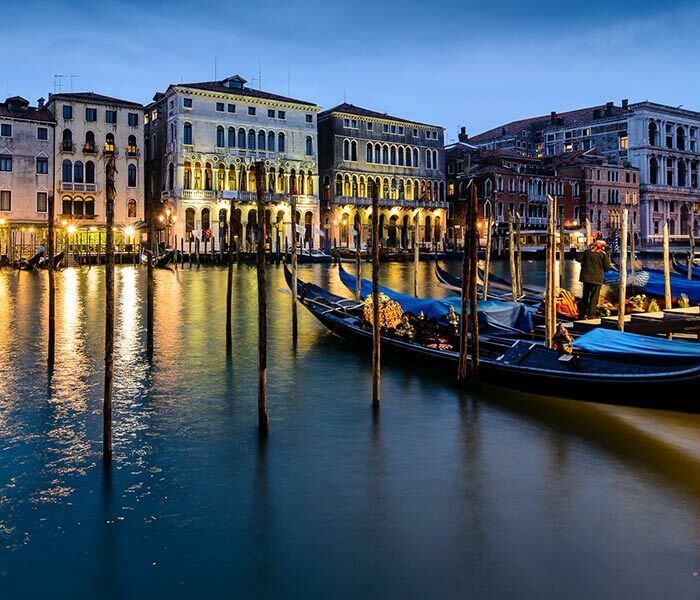 Almost 6000 years old and one of the most charming and magical Italian cities, the Venice Lagoon is a must for anyone who wants to experience exciting trips to Italy. There is a secret Venice in addition to the one we see on postcards, the submerged city, Piazza San Marco and the Rialto bridge: the Venice of the lagoon and the islands. Having a private boat at your disposal allows you to experience Venice from the water, in an out of the ordinary way, and reach unexpected places. In fact, on these hidden islands, there are world-famous restaurants and luxury hotels, such as the Hotel Cipriani on Giudecca Island. In addition, islands like Murano lend themselves to discovering more magic: glass processing. Here, in fact, you can book private tours to see the great glass masters at work. 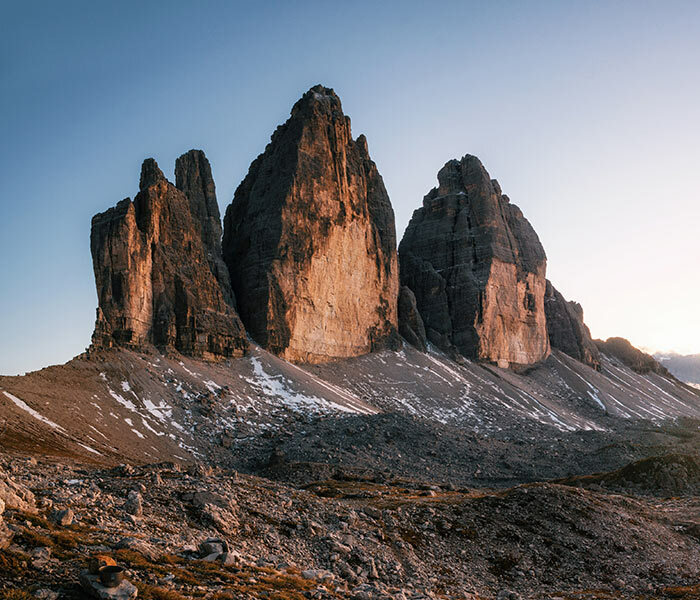 What could be better than a helicopter ride over the 3 beautiful peaks of Lavaredo, the symbol of the majestic Dolomites? Find out by visiting these UNESCO heritage sites, and let yourself be enchanted by the view of the 3 peaks. The highest Cima Grande almost 3,000 meters high, together with the “younger sisters,” offers adventurous travelers some beautiful plays on color, going from light gray to intense red. When talking about the Dolomites, we cannot fail to mention their Queen, the Marmolada. located on the border between the Province of Belluno and Trento, the scene of clashes during the First World War, the Marmolada is the highest mountain group in the whole of the Dolomites. A must for travelers who love the mountain and its magic. Bormio is another famous and evocative mountain town in Italy and is located in Valtellina, in Stelvio National Park. Famous for its slopes (the Alpine Skiing World Championships were also held here), Bormio in the Alps is a different destination from the classic destinations in Italy. Here you can dedicate yourself to sports, nature walks or total relaxation, immersed in its prestigious outdoor thermal baths under the snow. As for Venice, even a trip to Florence brings with it two types of experiences: a classic and known, and one that is more refined, unique and hidden. In Tuscany, there are gems that many let slip through their fingers. There are hills around Siena, for example, the Brunello, Montalcino or the Chianti area. Here too, as at the Langhe, it is possible to devote oneself to wine tasting immersed in the silence and magic of elegant and poetic natural landscapes. You can go hunting for truffles with local experts, book cooking sessions in the lands of the famous Florentine steak, or experience the thrills of a hot-air balloon ride over the Tuscan hills. 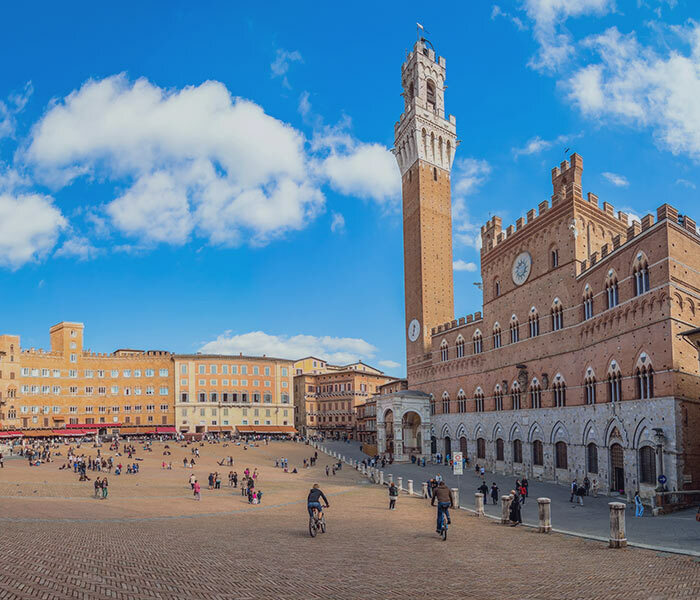 For those who want an even more classic experience, in Florence, you can’t miss the Uffizi (perhaps taking advantage of an unscheduled opening), Palazzo Vecchio, Palazzo Pitti, home of the historic Medici family, and the Duomo. In Tuscany you can imagine yourself on board of a roaring Maserati in the hills of Siena or walking on the banks of the Arno passing through Ponte Vecchio in Florence, the choice is yours! The essence of the Costa Smeralda in Sardinia, the perfect destination for those who want to make your experience at the beach more fashionable and luxurious. 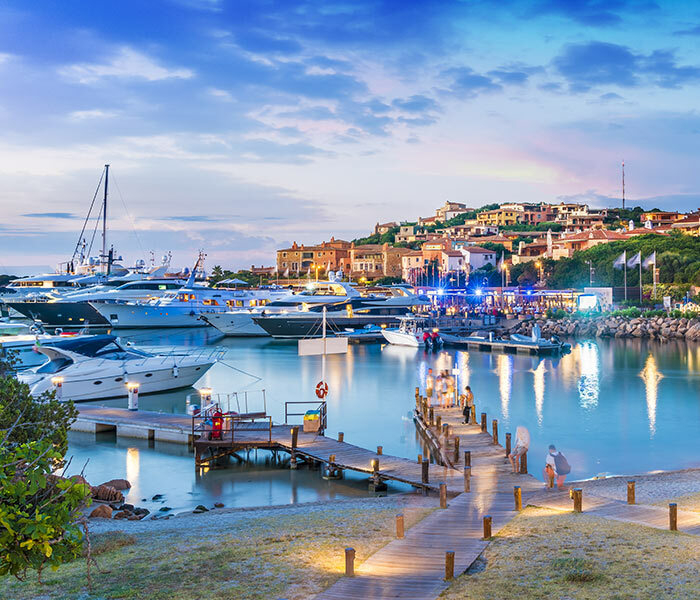 Always synonymous with elegance, Porto Cervo offers travelers relaxation and luxury entertainment, along with boutiques and shops of the most important brands. A boat trip in the Sardinian sea offers glimpses of the enchanting Porto, the climate is always excellent, and there is so much order and cleanliness that it seems fictional. A wonderful Italian National Park in Liguria that takes its name from 5 beautiful and picturesque villages scattered on cliffs overlooking the sea. In the 5 lands it is possible to walk down hundreds of exclusively pedestrian paths, surrounded by nature and the sea; admire ancient castles and discover beaches that are not very accessible and pristine. 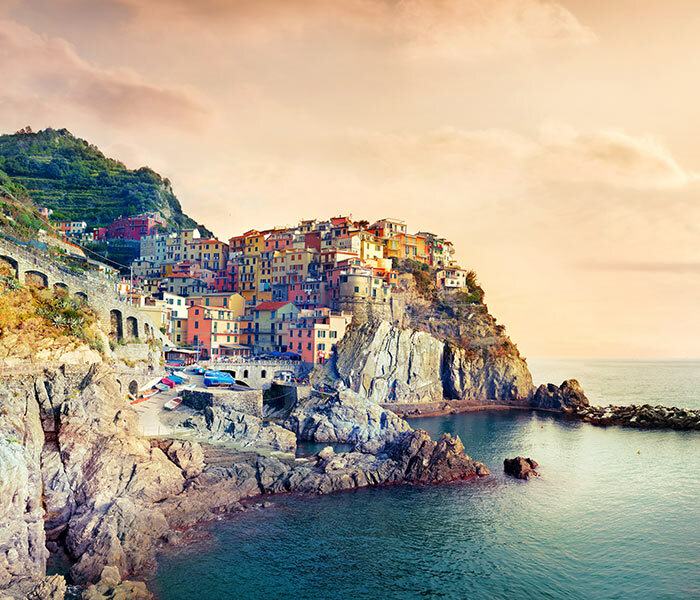 The 5 villages are Monterosso al Mare, Vernazza, Corniglia, Manarola and Riomaggiore, and it is worth discovering them all because each one has its own particularities and uniqueness, like the sand on the beaches, which varies from village to village. Do you want to have an experience of ancient and unique charm? Pompeii is the perfect destination. Its ruins will make you feel part of something bigger; Pompeii helps you capture the fleetingness of life, inspiring fascination and anxiety at the same time. The natural catastrophe of the volcanic eruption in 79 AD surprised everyone in an instant; it is still possible to see what people were doing at that very moment. Lose yourself in the Villa of the Mysteries, where you can admire the ancient frescoes, the Temple of Apollo and the majestic Roman amphitheater. 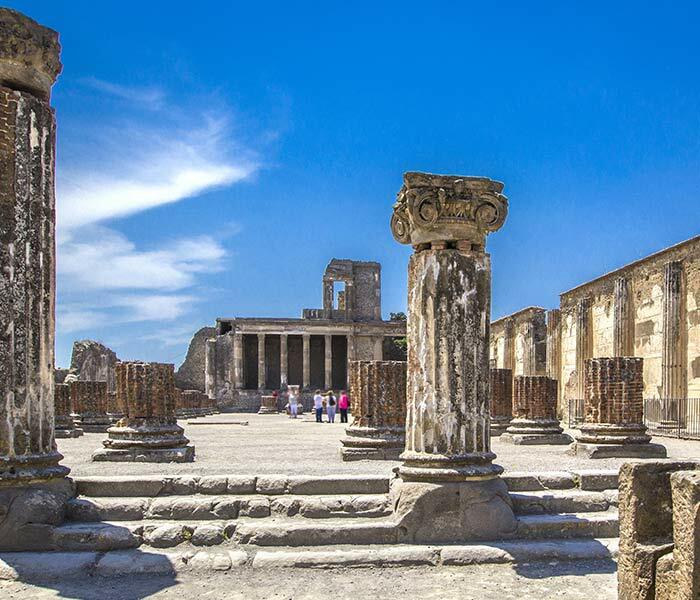 Pompeii is also close to the famous Amalfi Coast, so it is perfect for a travel experience that combines the magic of history with that of the sea and Mediterranean colors. 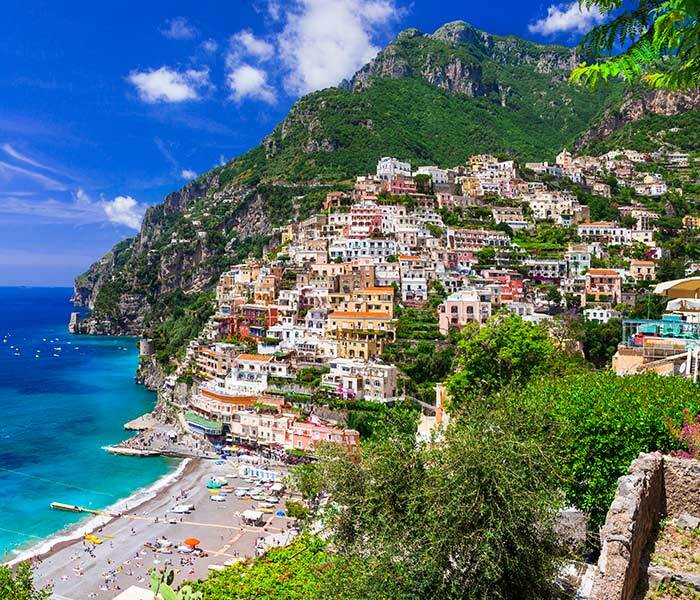 This is why the Amalfi Coast is the next item on our list! Here you are spoiled with choices. 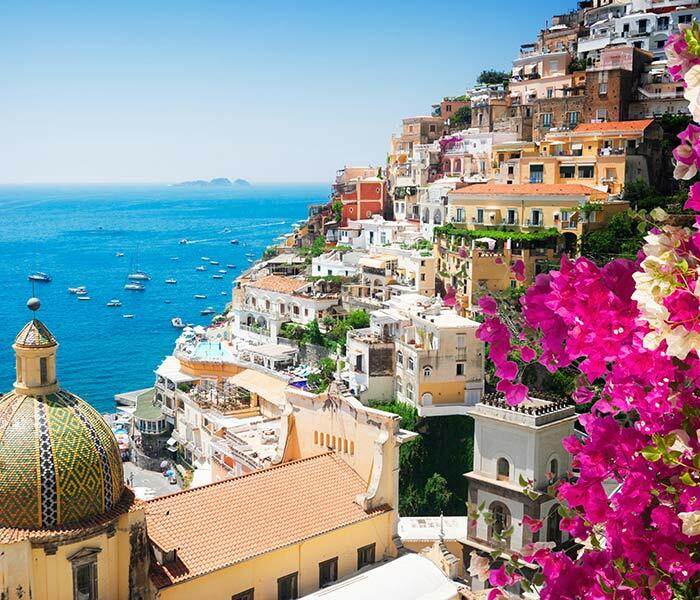 The Amalfi Coast is rich in beauty, scents, landscapes, and a wonderful sea. You only have to design your trip to be able to see all the places that inspire you the most. From Vietri sul Mare to Punta Campanella passing through Sorrento, Positano, Amalfi, and Salerno you can find an uninterrupted landscape of steep cliffs and jagged rocks typical of the Amalfi Coast. Here you can admire the coasts and small beaches, the famous lemon groves and terraced vineyards overlooking the sea. Amalfi, one of the ancient Italian Maritime Republics, is the city from which the name of the whole Coast derives. Overlooking the sea with houses even clinging to the rock, you can find unforgettable glimpses and scents in every corner. You can walk under the arches of the alleys of the historic center, admiring the coast, and it is on this coast that you can find the Emerald Grotto, an unmissable destination for a suggestive excursion. The mesmerizing city of music, located in the province of Salerno along the Amalfi Coast, is less known and popular than Amalfi (and this is an advantage!). 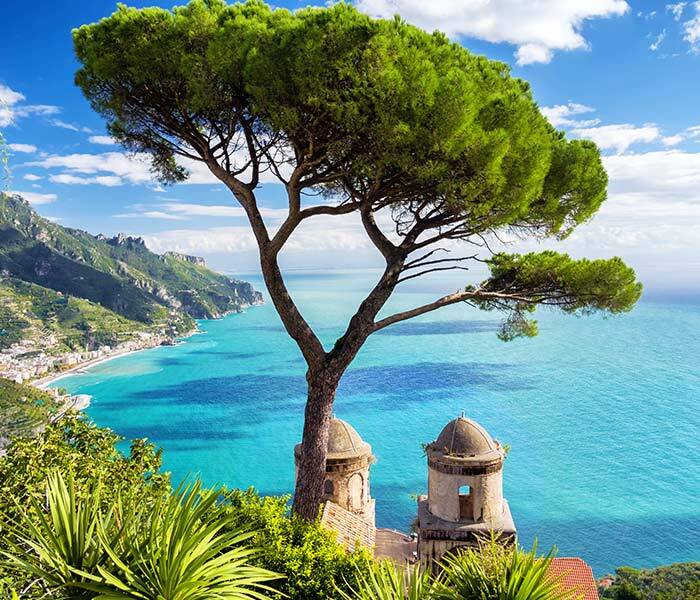 In Ravello, you will find unmissable gems such as the coral museum and the splendid Villa Rufolo, as well as one of the oldest cathedrals in Italy: the Cathedral of Ravello. Here, in his seventeenth-century chapel is kept the vial with the blood of San Pantaleone, which like that of San Gennaro in Naples liquefies every year. The city of Ravello is undoubtedly a privileged point from which to admire the Amalfi Coast. 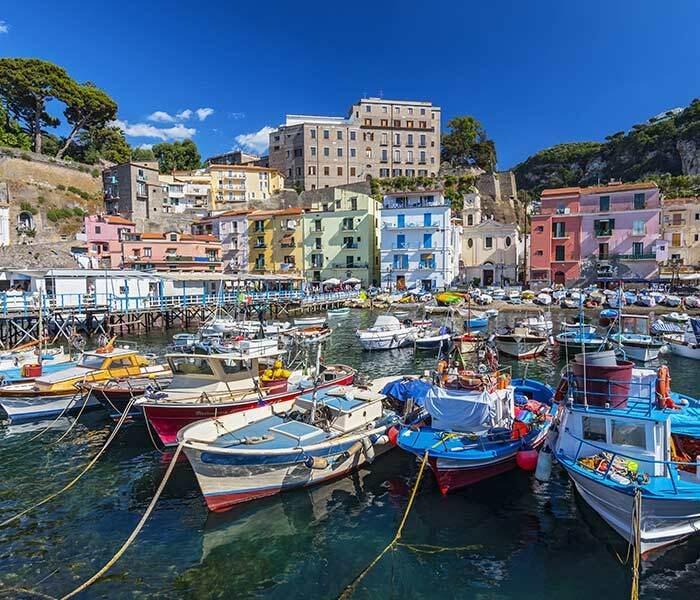 The third destination linked to the Amalfi Coast, Sorrento wins you over with its colors and perfumes. Also built on a cliff, Sorrento is famous for its sea views, the historic center and Piazza Tasso, the heart of the city. Sorrento has been influenced much more than any other sister coastal cities by the different cultures that have populated it over the years, Greeks, Romans, Normans, Aragonese, and the imprint of these different cultures makes it a unique and unmissable gem in the Italian coastal landscape. Those who decide to devote time to the city can admire the Cathedral and the Cloister of San Francesco and cannot miss the wonderful and evocative Vallone dei Mulini, in the historic center. The Isle of Capri, located in the Gulf of Naples right in front of Sorrento, is one of the most sought-after seaside destinations in Italy. Always associated with luxury hotels, high fashion, shopping and limoncello, each year it attracts numerous yachts that land on its shores to admire its splendid coves. By boat, you can reach the most hidden beaches and dive in crystal clear waters, relax and enjoy the natural sites and caves of Capri. 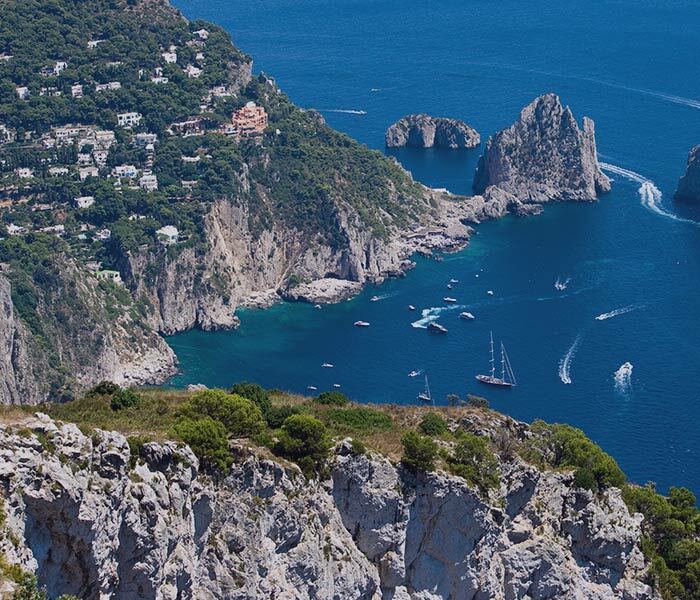 A splendid volcanic island in the Gulf of Naples, it is the perfect end to your journey to the Amalfi Coast. Ischia is the perfect destination to enjoy a bit of relaxation immersed in peace, beauty, and nature. Famous for its invigorating mineral-rich thermal baths, it is said that the Source of Nitrodi was “made magical” by its proximity to the temple of the god Apollo and that it made all the women who dived there beautiful. In 2003 the Italian Ministry of Health recognized the beneficial and healing properties of this source, so don’t let it slip away! Do you prefer to devote yourself to trekking and challenging your limits? An excursion to the Etna volcano is a perfect and unforgettable experience; you can complete the planned routes between craters, volcanic bombs, lunar landscapes. And you can do all this facing the sea! 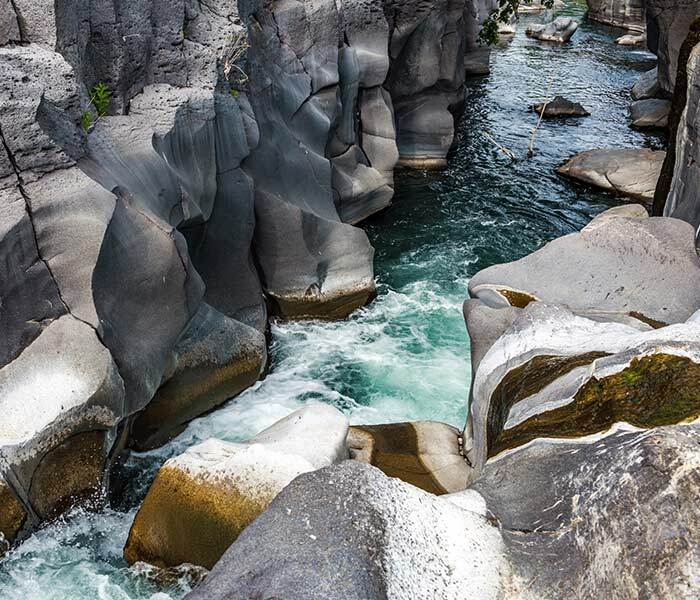 Explore the famous “Valle del Bove” and let yourself be guided through the gorges of the Alcantara River. For those who are more adventurous, it is also possible to go on excursions with real speleologists in the volcanic caves. 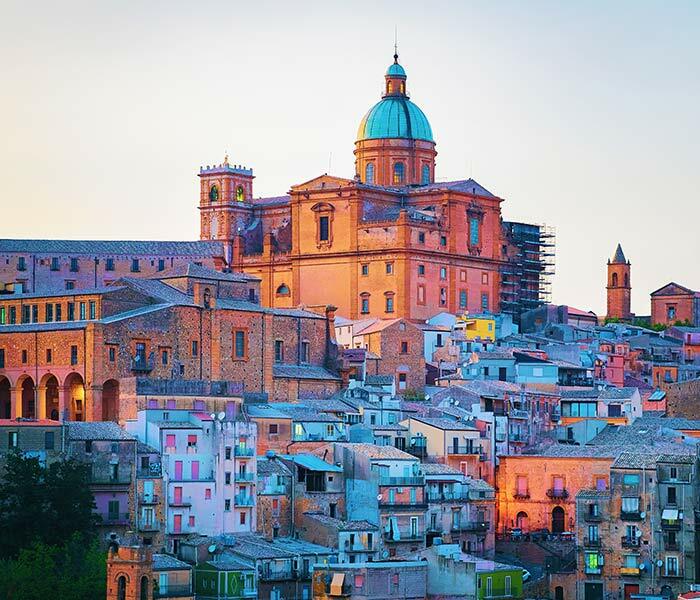 The City of Sassi has been a UNESCO World Heritage Site since 1993 and was the European Capital of Culture of 2019. Matera, located more than 400 meters above sea level in the southern part of Basilicata, is a unique city, a journey into the past and a continuous source of amazement. Its architecture gives it unparalleled charm and shows how man is able, when he wants, to adapt to the surrounding environment in perfect harmony. There are testimonies of indigenous peoples from the Paleolithic period, finds that coexist with today’s life of the city, which float in an almost mystical way between past and present. 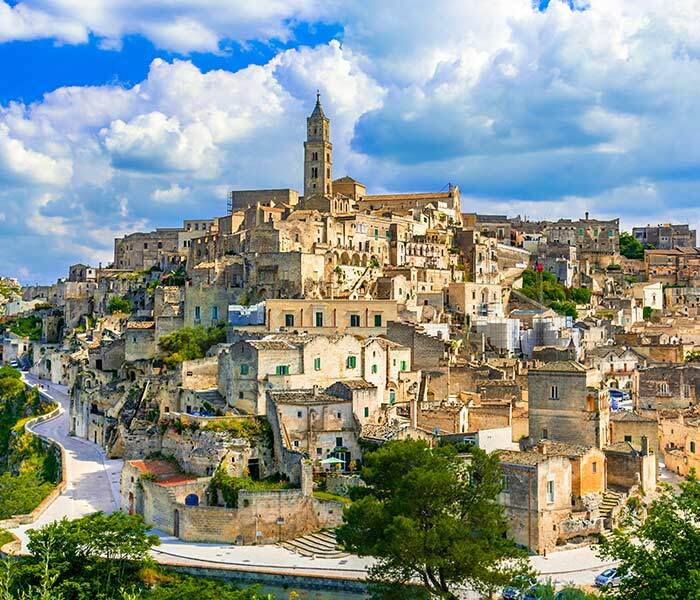 In fact, today numerous cultural events are taking place in Matera, and the Lonely Planet guide also included Città dei Sassi among the must-see destinations in 2018. Here, in addition to the magic of the city suspended over the stones, you can admire the Tramontano Castle, the Church of the Purgatory, Sasso Caveoso with its still intact caves and Sasso Barisano, home of the numerous artisan workshops of Matera. After visiting the Sassi our advice is to enjoy the canyon of the Gravina, several kilometers long and full of trails that allow you to discover the whole area around Matera. Civita di Bagnoregio is one of the most beautiful towns in all of Italy, part of the municipality of Bagnoregio inhabited only by 11 people, it is nicknamed the “The Dying Town” due to the slow and inexorable erosion of the rocks on which it stands. 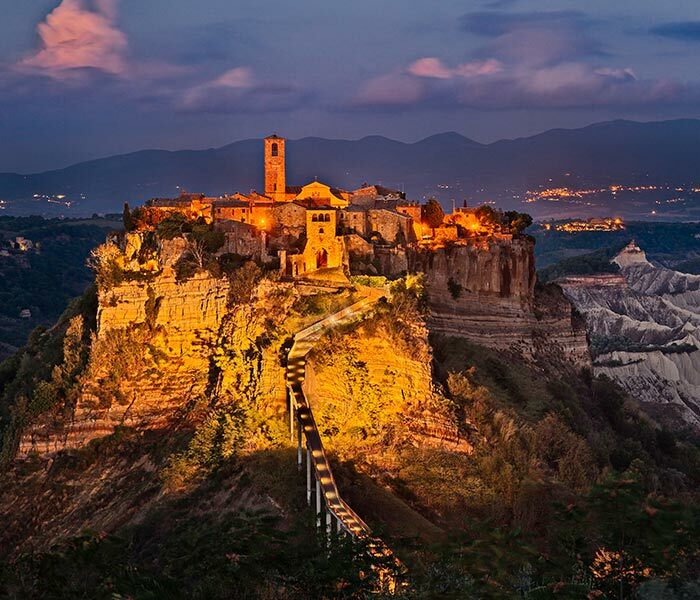 Located on the border between Lazio and Umbria, Civita di Bagnoregio is for those looking for hidden destinations in addition to the usual and most famous destinations. It is a small island of land suspended at 443 meters above sea level that seems to stand on a delicate balance of rocks and gullies, connected to the “rest of civilization” by a very thin concrete viaduct that overlooks the beautiful Valle dei Calanchi. Even in Civita di Bagnoregio as in Matera, it seems to have remained in an Italy of the past, from the late medieval period, where you can find walls, arches, courtyards, craft shops, customs and processions that are still handed down from generation to generation. 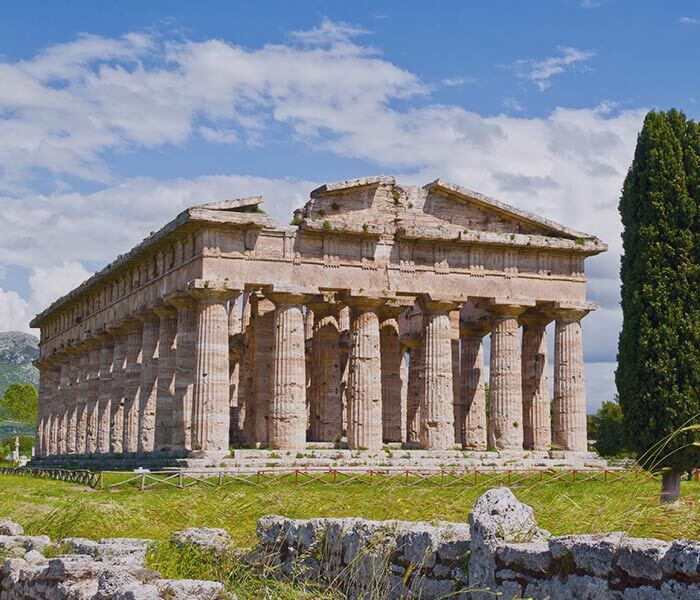 An archaeological Park like few others in the world, Paestum includes the most important sculptural cycle in Magna Grecia. Located in Campania, in the province of Salerno, it was once called Poseidonia in the name of the god Poseidon, to whom is dedicated a Temple that can still be visited today. The area of the Archaeological Park is breathtaking and numerous activities can be carried out inside it, from night visits to excavations to lighting the lanterns up to the educational laboratories, where the tools and ancient weapons of the warriors are shown from prehistory to the Roman age. P.S. You can even adopt a block of the Park walls! 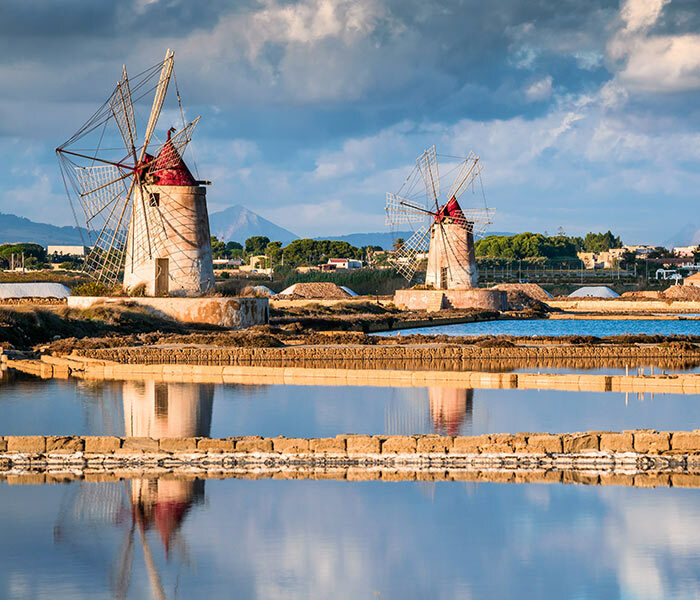 A splendid city in western Sicily, Marsala is rich in artistic beauty and unique landscapes. It has Phoenician, Greek, Roman and Arabic influence, and all have left their mark in terms of architecture and colors, giving it the appearance of a splendid and lively mosaic. The ancient area of the city extends from the Lagoon of the Stagnone to the historic center and coexists with the modern urban complex. Throughout the territory, you can admire caves, necropolis, sanctuaries, submerged roads, and even shipwrecks. Marsala is also the city of wine, ceramics, strawberries, and flowers, its aromas and flavors will win you over ons your walks through the streets of the historic center and the inland towns. More to the north of Marsala, on the tip of the beautiful Sicily, is Erice, a charming village with just over 1000 inhabitants located on top of the homonymous Mount Erice at 751 meters above sea level. 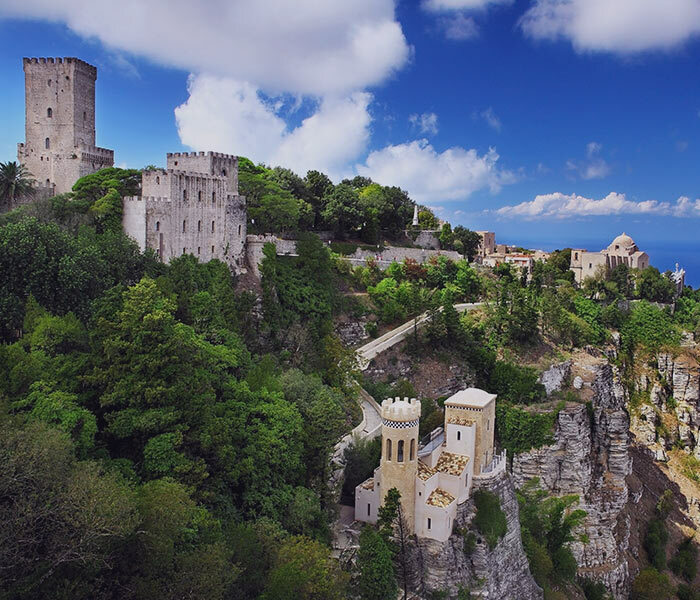 Surrounded by ramparts and walls, Erice is an unforgettable beauty thanks to its Phoenician-Roman influences and its labyrinths of narrow streets, so narrow that it doesn’t allow two people to walk side by side. The medieval atmosphere can still be felt among the houses and narrow streets of Erice, where peace and tranquility reign supreme and where you can stop in the renowned craft shops. The view from the walls of Erice on the sea is a priceless sight. The Aeolian Islands are an archipelago of 7 beautiful islands of Sicily inserted in 2000 among the UNESCO heritage sites. Also called the Lipari Islands, they owe their name to Aeolus, the ancient god of wind. 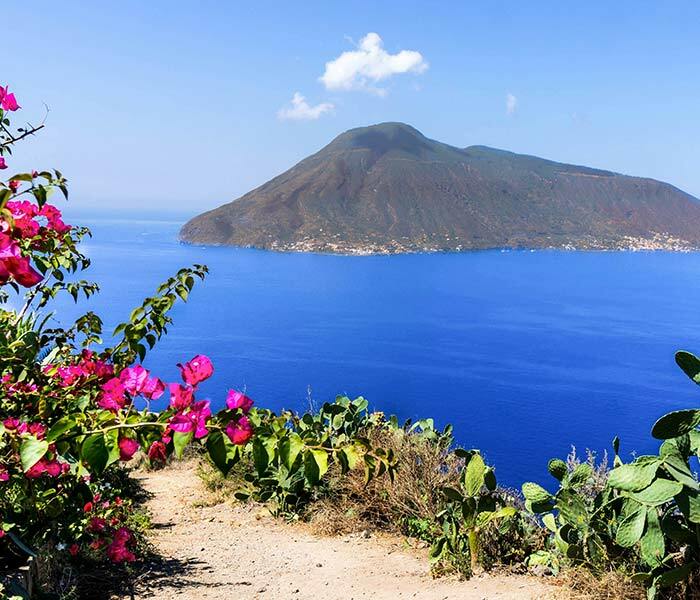 The 7 famous islands are Lipari (where the god was believed to live), Stromboli, Vulcano, Salina, Alicudi, Filicudi, and Panarea. A cruise that touches them all and then ends at sunset in front of the active volcano of Stromboli is an extraordinary experience and should not be missed. For the more adventurous, climbing to the Vulcano’s Great Crater is also a must. The summit is 391 meters above sea level and can be reached in just over an hour by following paths surrounded by fumaroles, lapilli, brooms and breathtaking views of the sea. 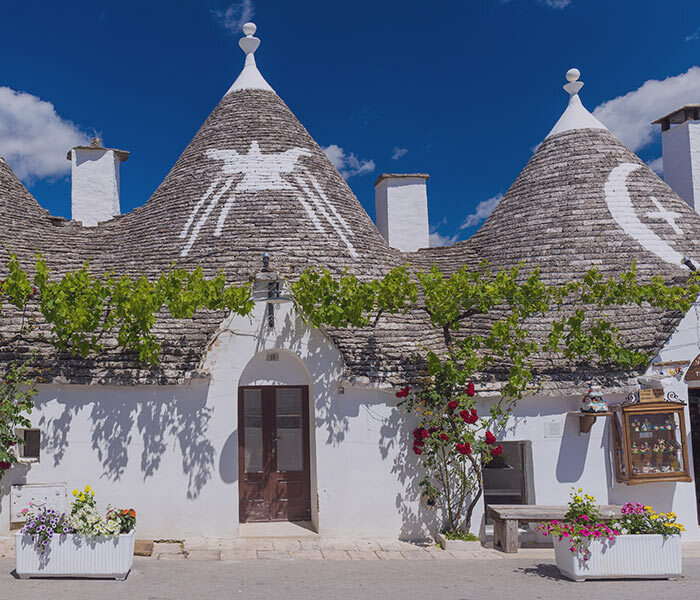 A wonderful UNESCO heritage city in Puglia, Alberobello is the capital of the Trulli, the famous and characteristic Apulian dwellings: white dry-stone conical constructions that support the landscape. The historic center of Alberobello is unique precisely because it is entirely made up of these white pyramidal buildings. Here you find yourself catapulted into a fascinating and ancient, almost fairy-tale world, where the customary shops and boutiques are found in ancient Trulli. The Trullo Sovrano and the Trulli Siamesi have incredible surprises; Rione Monti and the Hague Piccola offer lovely panoramic views, the souvenirs are unique and inns and bistros, inside the Trulli, of course!, serve fantastic Apulian dishes. The capital of the Trulli can easily be visited in one day for its collected dimensions, which is another reason not to miss it during a trip to Italy! 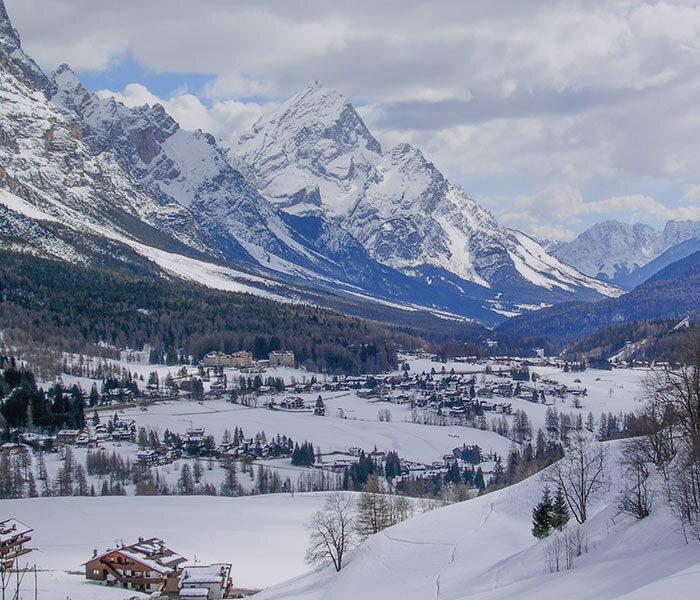 One of the most famous and renowned Italian ski resorts, Cortina d’Ampezzo, is a trendy paradise for skiers, hikers, and climbers. 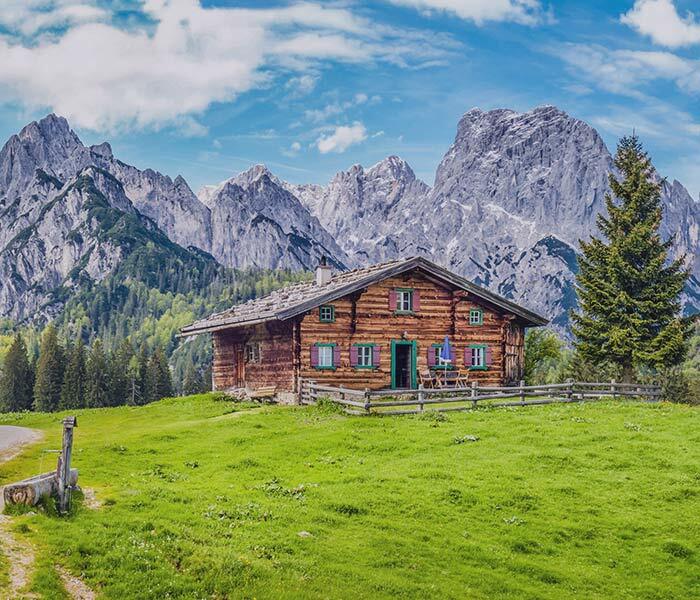 Its mountains include UNESCO heritage sites such as the Cristallo and the Cinque Torri, peaks and landscapes almost too beautiful to be real. However, Cortina is not just a mountain; those who love water sports can go rafting, canyoning and kayaking on the clear streams around the city, where which you can also fish, immersed in nature in peace and tranquility. Do you prefer another type of relaxation? Cortina is also known for its shopping. In fact, Corso Italia is one of the most famous shopping streets in Italy! Taormina is a beautiful city on the eastern coast of Sicily, near the Mount Etna Volcano. 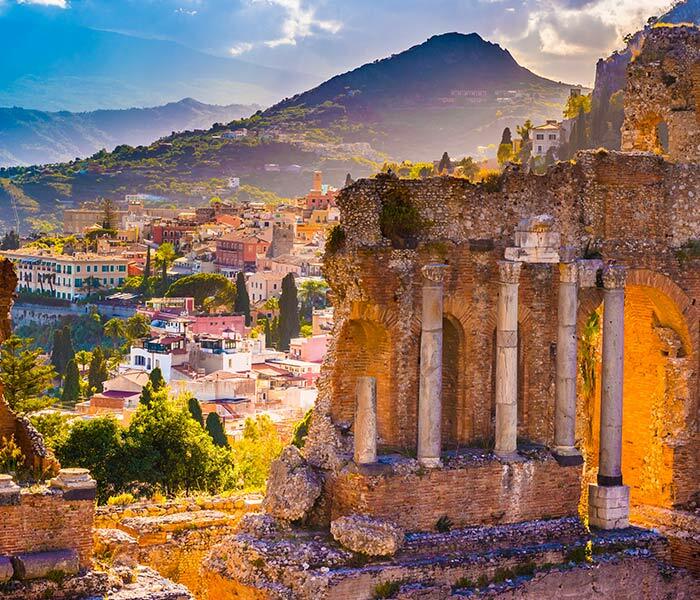 Goethe described it as a “strip of paradise on Earth” during his trip to Italy, and in fact, Taormina captivates with its beauty and charm. Its position on the sea combined with the roads from the medieval atmosphere, the historical and cultural heritage, the breathtaking views and the exquisite Sicilian food, make Taormina a unique place that shouldn’t be missed. Here you can admire the beautiful Cathedral of Taormina and its famous Greek Theater, from whose staircase you can see all the magnificent panorama of the coast and the Etna Volcano. 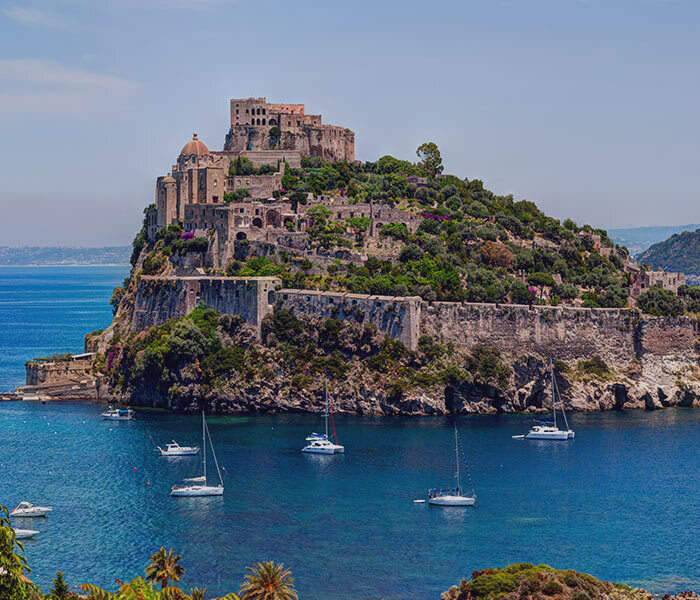 A hidden gem of Taormina is the small islet of about 1 square kilometer called Isola Bella, a nature reserve that has enchanted poets and philosophers with its crystal clear waters and dense and lush vegetation. A place that often takes second place when planning trips to Sicily, Piazza Armerina actually has one of the largest and most beautiful historical centers on the whole island and one of the most important Roman landmark buildings in the world: Villa Romana del Casale, which has been a UNESCO heritage site since 1997. Piazza Armerina, located precisely in the center of Sicily, breathes an air of history everywhere. Here it is possible to admire monuments and buildings such as the Churches of San Rocco and San Pietro, the Aragonese Castle or the Commenda dei Cavalieri di Malta. Agrigento was once one of the most important Greek colonies and was called Akragas. When the Carthaginians conquered it, to make it a base for the war against the Romans, its name was changed to Agrigentum and hence the current Agrigento. This is to make people understand how history can be experienced in Agrigento, by touching it with your hand. The so-called Park of the Temples extends for about 1300 hectares and presents one of the major archaeological complexes in the Mediterranean, which is why UNESCO declared it a World Heritage Site in 1997. 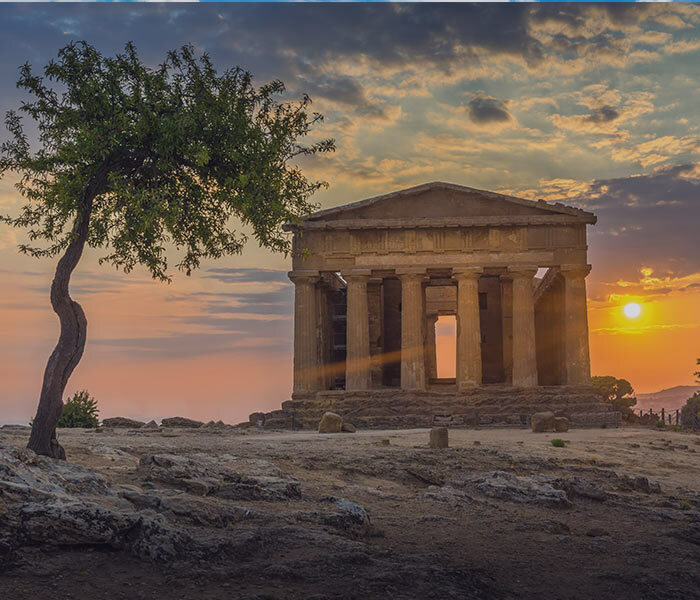 Agrigento embodies the treasures of antiquity, such as the 7 sacred places that can still be admired here: among them the Temple of Hera with its 34 columns, the Temple of Concord and that of Castor and Pollux; or the Norman Cathedral with its high bell tower. Without forgetting the Via Atenea, where Palazzo Celauro is located and where Goethe once lived. 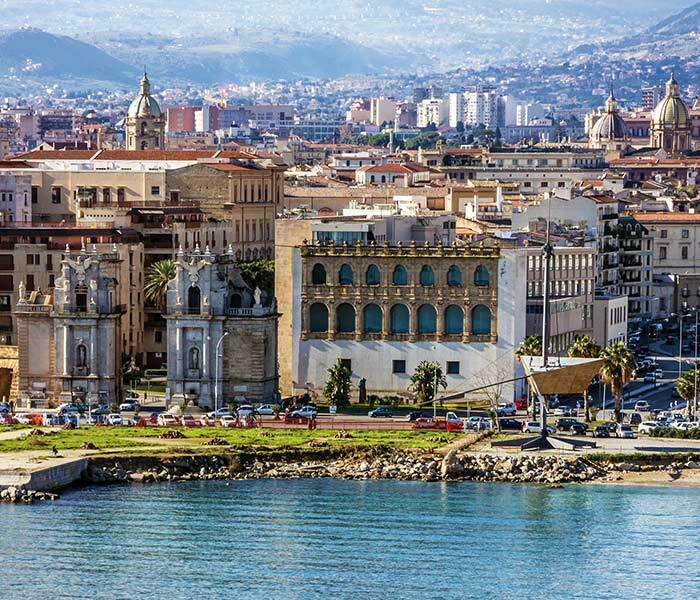 If you are thinking about a trip to Sicily, you can’t miss the capital: Palermo. Here the Baroque, Norman, Art Nouveau, and Arabesque styles coexist, giving the city a touch of particular uniqueness and beauty. Even before entering the city you will fall in love with its surroundings, starting with Mondello. Mondello is the beach of Palermo, famous for its crystal clear sea. Here you can also buy freshly cut and octopus on the beach. Alternatively, in the city, the obligatory stops for gourmets are the food markets like Vucciria and Ballarò; instead, those for travelers hungry for history and architectural beauty are Palazzo dei Normanni, Santa Maria dell’Ammiraglio, Steri, and the colorful Botanical Gardens. We started the list with a lake, and we will conclude it with a lake, Lake Maggiore. 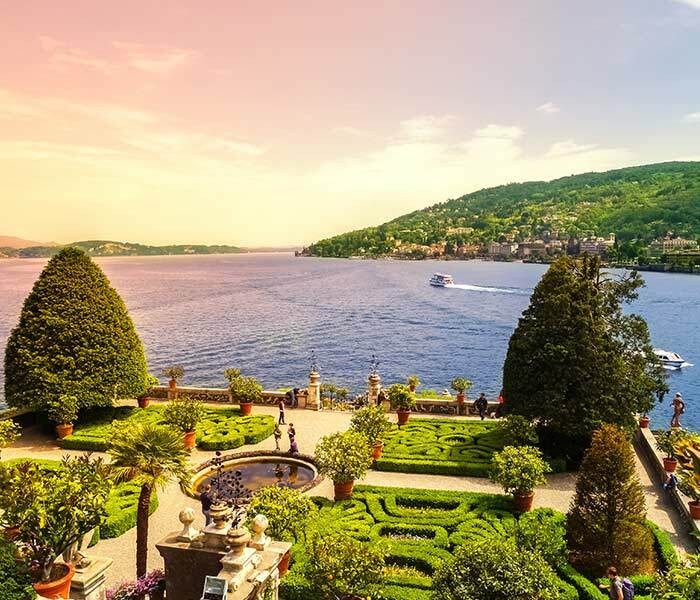 The second largest lake in Italy, Lake Maggiore offers breathtaking landscapes and many treasures to be discovered among villas, gardens, and palaces. On its coasts is Stresa, the queen city of the lake. There are majestic buildings like Villa Pallavicino with its beautiful gardens and zoos and the Grand Hôtel des Îles Borromées where Hemingway stayed. From Stresa, you can book boats to get to the Borromean Islands, where you can find magnificent places for fishing or the Museum of Dolls and Toys. For a little fun in addition to relaxing on the lake, you can go to the nearby Monte Mottarone and its bobsleigh tracks! Well, now you know that in Italy you can find destinations for all your desires and tastes, from the sea to the mountains passing through splendid suspended villages, historic villages, medieval cities, and breathtaking landscapes. It is only a question of choosing to live these experiences to the fullest, so you don’t miss the magic and uniqueness of the journey, the territory, and food. But these are just some of the experiences you have in Italy, download our ebook to discover the most exclusive destinations!